In 1963, land was purchased along Georgia Avenue in the Oakdale section of Olney, south of the town center, In 1970, construction began on a two-story, 3-bay station. The rear section included three apparatus bays for maintenance. Station 40 opened on December 1, 1971, and was dedicated in May 1972. A full-mechanic was employed to maintain the extensive Sandy Spring fleet. This position was eliminated in the early 1990s. From 2015-17, a major restructuring of the two-story living quarters took place. This resulted in modern, spacious areas for the kitchen, dayroom, exercise room, dormitory, lavatory/locker rooms, and office spaces. Station 40’s first-due area includes Olney, Brookeville, and portions of Norbeck. 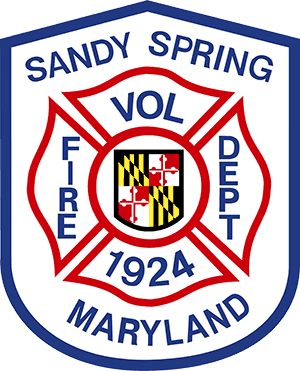 The station currently houses two pumpers, a 105-foot rear-mount straight-frame aerial ladder, a brush unit, an ambulance, a canteen, a boat-support unit, two inflatable rescue boats, and two all-terrain vehicles (ATVs).